It's strange to be celebrating a two-year old product being "close" to its suggested retail price, but here we are. Nvidia is proudly reminding all its followers on Facebook that its GTX 10 graphics cards are now in stock at more reasonable prices for gamers. The GTX 1080 and GTX 1060 can be purchased directly from Nvidia for $550 USD and $250 USD, respectively. The news comes within days of existing rumors of the impending GTX 1180. 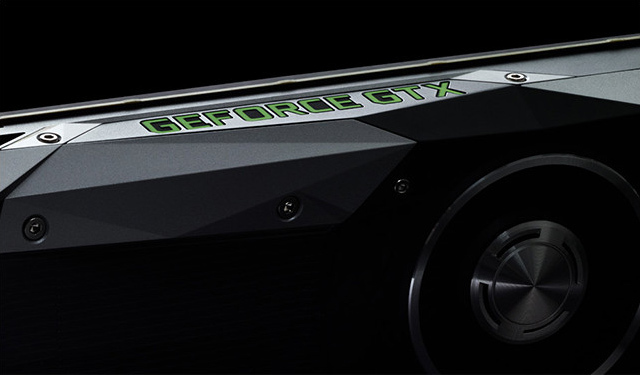 Nvidia has been boasting through its Facebook page today that its GTX 10 series of GPUs are "back on shelves at MSRP" through multiple online retailers. The announcement is noteworthy as it follows months of sharp demand and rising prices from the sudden spike of cryptocurrency miners worldwide. A quick look through the Nvidia website does indeed show reasonable prices for its graphics cards. The GTX 1080, for example, is now in stock directly from Nvidia for $550. While certainly hundreds of Dollars cheaper than it was just a few months ago, this is still $50 more than the actual MSRP of the GTX 1080. The manufacturer dropped the price of the GTX 1080 in early 2017 immediately after the announcement of the GTX 1080 Ti, so the claim that its GPUs are "back to MSRP" isn't exactly true - at least for the moment. A perfect example is the ever popular 6 GB GTX 1060 that is currently in stock for $300 compared to its MSRP of $250. For a two-year old graphics card, it's almost unimaginable that its newer price is so much greater at retail. The timing of the Nvidia post is suspect as there have also been rumors of the GTX 1180 and the next generation series to surpass Pascal. New desktop GPUs are expected to launch in the coming months with the mobile versions landing before the end of the year.